Taking photographs and video underwater can capture a lasting memory. It can also be complicated. 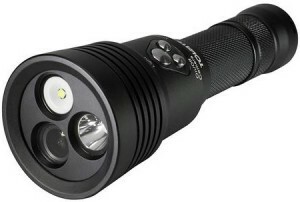 Not only do you have to buy cameras, lights, trays and arms, but those items are bulky, difficult to align, and hard to maneuver around both above and below water. 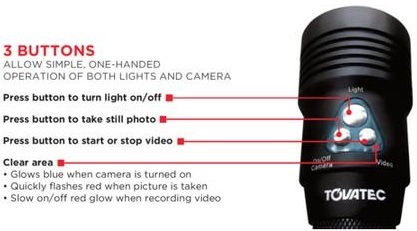 Not to mention that it can be difficult to enjoy a dive with both hands operating a camera. 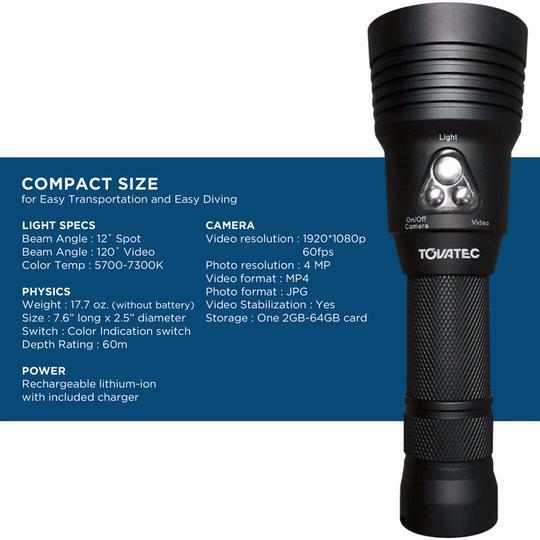 Say goodbye to complications and difficulties... Tovatec has combined a proprietary, high-definition camera and light into a single unit. 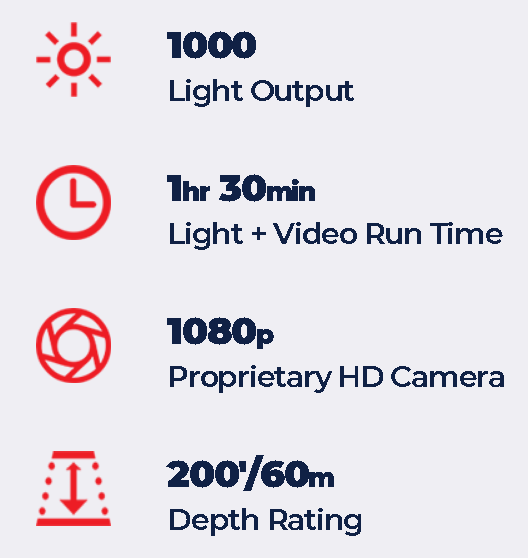 We have engineered the camera and light to work seamlessly to take simple and beautiful photographs and videos under water. The secret key to seeing that beautiful fish, sea turtle, shark, eel, ray, etc.? Leave your camera on the boat – then it will swim two feet in front of you. Replacing your primary light with the Tovatec MERA will ensure that you will never miss a memory again. Your camera will always be at your side. 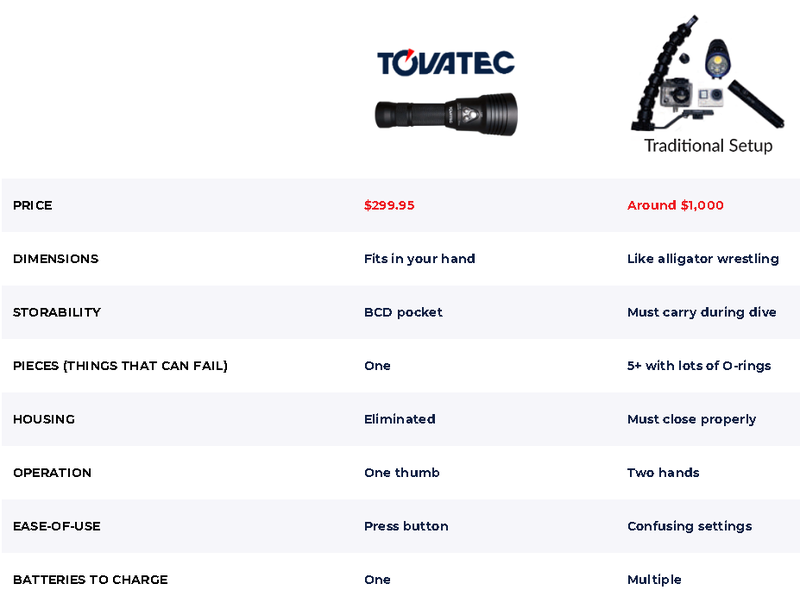 Click the button below to add the Tovatec Mera Flashlight with Built-In Camera to your wish list.